In a bowl, add all of the ingredients for the dressing and whisk until well combined. 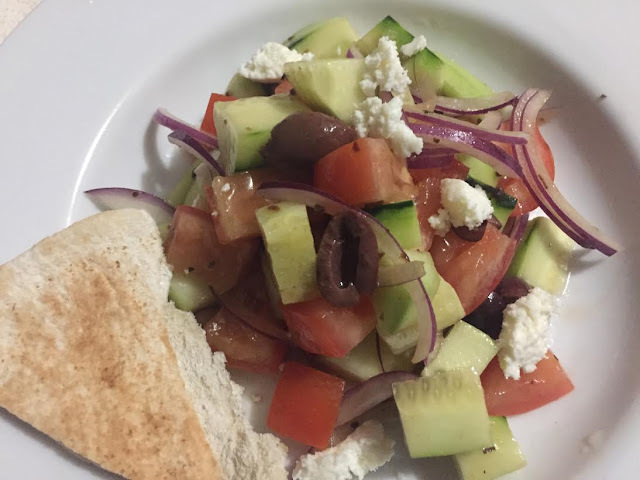 Add the tomatoes, cucumber, olives, red onion, and feta into the bowl with the dressing and toss it lightly. Serve with some warm crusty bread or pita chips. he article was great, I accidentally saw it and I was really attracted to it, hoping it would be well known.